Prudentials’ Challenge Lab Tools is a follow up campaign to their successful Bring Your Challenges campaign. The platform allows people to learn about and understand retirement planning tools, which have been designed with human behavior in mind. It makes saving approachable for people by focusing on four important areas - Mapping the road to retirement, providing a savings analyzer, suggestions on how to make contributions and finally giving people the ability to figure out how much is enough when they retire? An advertising campaign was created to spread the message and bring people to the Challenge Lab. For this project I had the opportunity to work for Craig Ward and Kyle Bean, to create a typography based advertising campaign, for Droga5 and Prudential, showcasing the importance of saving for retirement. 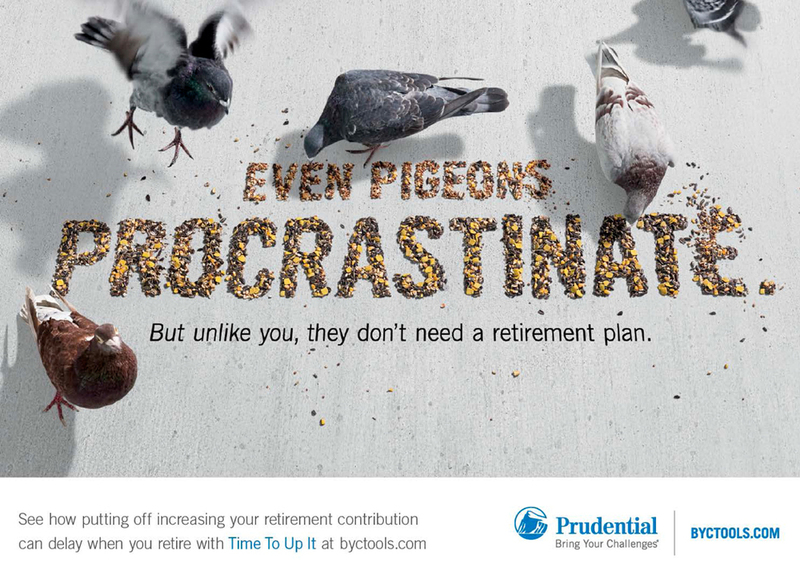 What is procrastination COSTING your retirement? EVEN PIGEONS PROCRASTINATE. But unlike you, they don't need a retirement plan. 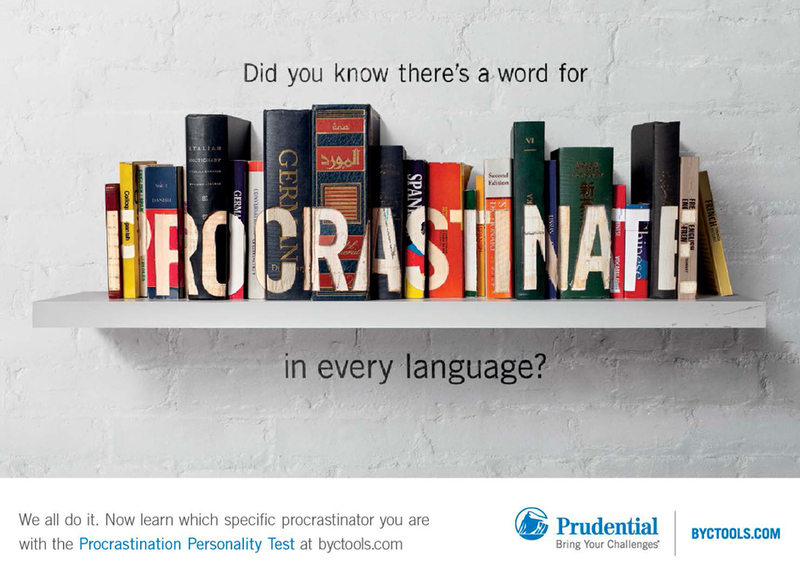 Did you know there is a word for PROCRASTINATE in every language?